Creating Haiku poetry is fun and rewarding and anyone can do it! Haiku poems are short and follow some simple rules which can exercise your brain and creative thinking skills. Share Haiku is an Android app that encourages the creation and sharing of haiku poetry written in English. Many people around the world are learning English. Haiku poetry expressed in the English language is a great tool to learn English words and their meanings. View the examples others have shared then try creating some of your own if you are new to writing haiku. The Share Haiku app also includes the rules and tips for getting started. Need a challenge to jump-start your day? Try creating and sharing a new haiku every day! Can you haiku? is now available for Android powered phones and tablets. The application gives users the ability to create and share original thoughts in several dozen categories and share them with other users. Good Thoughts is a free application supported by visual ads. 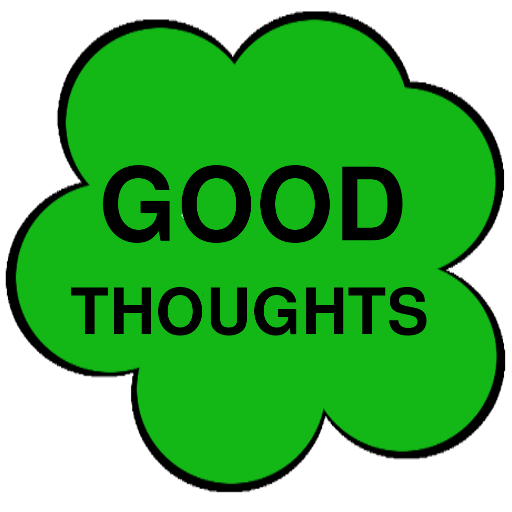 You can help battle negative thinking for yourself and others across the world by creating and sharing your good thoughts. You will improve your positive thinking when you dwell on a good thought to share with others. A positive exercise to start or end your day! Others will be exposed to positive thinking when reading the good thoughts shared by others. Let’s help build a more positive human society by creating and sharing good thoughts! And please share this post with friends if you will so they can share their good thoughts too. Hard work is the mother of creativity. Dusty Reins – Not Just a Software Nerd!